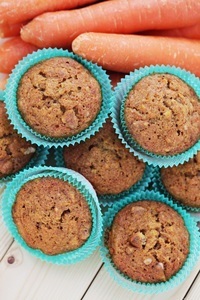 My friend Tracy from MomsinaBlog.com put together a wonderful new cookbook full of healthy recipes that taste great. 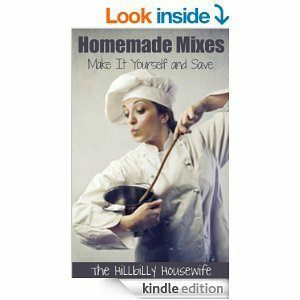 I asked her to share her thoughts and inspiration for writing the book along with some recipes with you. Enjoy and don’t forget to check out Darn Good & Dang Tasty. Oftentimes when we think of eating healthy food our brains turn to things like tasteless tuna salad on dry melba toast – or something equally as bland. We want to eat good food that tastes good, too, ~we really do~ but the reality is that it’s not always easy to come up with a meal, especially on the fly, that isn’t full of (if you’ll forgive my language) crap. I completely understand how you feel. There have been many nights when I stare longingly into the fridge and/or pantry for inspiration when, finally, in defeat, I give up and order pizza or call the hubs to pick up something quick from drive thru. As you can imagine, this leads to a bigger waistline and a smaller bank account and that’s just not good for anyone. To help get your healthy food mojo going and give your brain some flavorful ideas, I’ve compiled a selection of recipes that are darn good for you and dang tasty to boot. I hope these recipes give you a jump start to healthier eating with food that tastes just as good as it looks and smells. Enjoy! Heat skillet and spritz with cooking spray. Saute garlic and mushroom. Add and cook chicken over medium heat until no longer pink. Add chicken broth, thyme, pepper and vinegar. Simmer for 15 – 20 minutes. Line muffin pan with papers or spritz with nonstick spray. In a mixing bowl, combine flour, sugar, oats, baking powder, and nutmeg. In a separate bowl mix together carrots, milk, sour cream, and egg white. Blend together dry and wet ingredients. Fill each muffin cup a little over half full. Bake at 350 degrees F for 20 minutes. Healthy food doesn’t have to be bland and tasteless. In fact, it can be Darn Good & Dang Tasty. 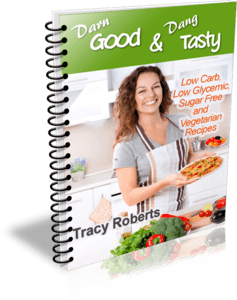 In the newest ebook from MomsInABlog.com, Tracy shows you over 100 Low Carb, Low Fat, Gluten Free, Sugar Free & Vegetarian recipes that help you get started on your way to creating a healthier you!